Clients come to MasterShield Gutter Guards for three main reasons. Expert solutions based on 35 years of experience, the most advanced, self-cleaning gutter protection system on earth, and professional installations led by our military veterans. We assure you a quality, hassle-free experience. Tom Kahn grew up as the son of a builder, who later in life specialized in gutters and gutter protection – forming the basis of MasterShield Gutter Guards. As the second generation of the family business, Tom has worked hard to continue to build a company based on such a niche market. He learned from his father that he should always "build a relationship first and do business second," and Tom takes those words to heart every day. Now, Tom's son Matt has also joined the company and he discovered the MasterShield technology that the the business uses today. Together, they offer state-of-the-art gutter guard systems that they know are the best on the market. 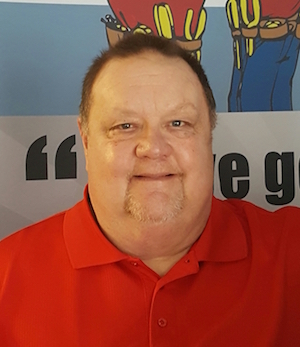 Their clients make them who they are, and Tom is proud to see what his company has become and to work with people who care about his customers. MasterShield Gutter Guards is dedicated to giving back to our local community. We participate in Fisher House, making donations for military clients and families. We also took part in an episode of Extreme Makeover: Home Edition, where we worked on the house Hope of America in Baltimore. MasterShield Gutter Guards always looks forward to contributing to our neighborhood! Here at MasterShield Gutter Guards, we believe in the gutter guard systems we use because they have been recognized and awarded time and time again. MasterShield's gutter guards have been rated the #1 gutter protection on the market by Tim Carter, nationally recognized Ask The Builder, Newport Partners, a worldwide product testing firm, Best Picks reports, HandymanHowTo.com, Bestcovery.com, and more. They have also been named GreenBuilder Product of the Year because you can harvest pure, potable water from the drainage system, since no debris can get into it. For these reasons and more, MasterShield Gutter Guards is proud of this manufacturer and the outstanding solutions it offers to homeowners throughout DMV area.